Mattie Audi in Fall River, MA treats the needs of each individual customer with paramount concern. We know that you have high expectations, and as a car dealer we enjoy the challenge of meeting and exceeding those standards each and every time. Allow us to demonstrate our commitment to excellence! Our experienced sales staff is eager to share its knowledge and enthusiasm with you. We encourage you to browse our online inventory, schedule a test drive and investigate financing options. You can also request more information about a vehicle using our online form or by calling (508)678-5555. 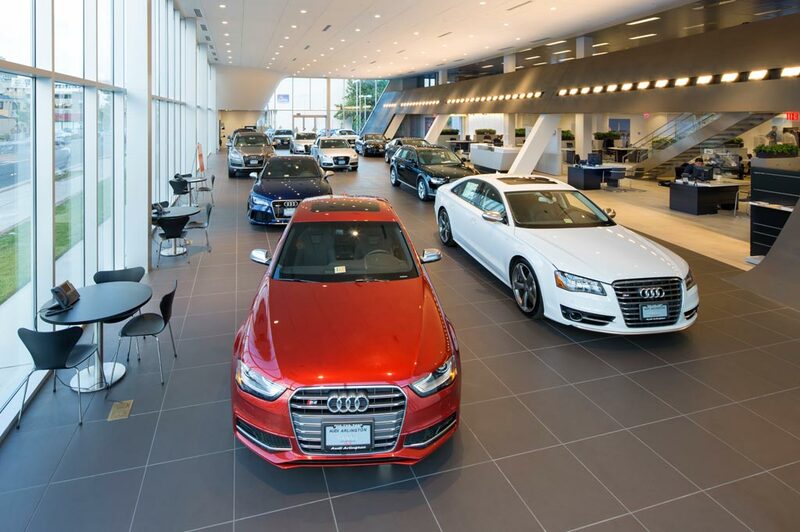 Experience Our Fall River Audi Dealership Today! If you're in the market for a new or pre-owned Audi then look no further than our dealership. We have a wide range of popular Audi models for you to choose from. When you arrive at our dealership, you will be greeted by our friendly staff. They are expertly-trained in the ways of taking your wants and needs and matching it up with a vehicle from our extensive inventory. If you're looking for a pre-owned sedan then ask about the availability of our Audi A4 and Audi A3 models. If you're from the Newport area and need a new Audi SUV for your growing family then it might be best to side with an Audi Q3 or Audi Q5. Whatever your preference, our staff can help you find the ideal car, coupe or SUV for your lifestyle. Were you driving through the Taunton area when you hit a pothole and now your Audi is making a strange noise? Don't let a small issue turn into a costly repair, take it to our service center. There, our auto repair staff can diagnose the issue and take the next steps to get your Audi running in peak conditions. Once you have found your dream car, it's time to consider how to pay for it. Visit our finance center and our financial professionals can help tailor a payment plan that works with your particular budget. They can advise on whether it would be best to buy, lease or loan for your next Audi. They can even point you in the way of a few vehicle specials that can save you money, and who doesn't love saving money? So, if you're from the Dartmouth area or beyond and are looking for an Audi dealership that you can trust, visit us today and we can help you out in every step of the car-buying journey.